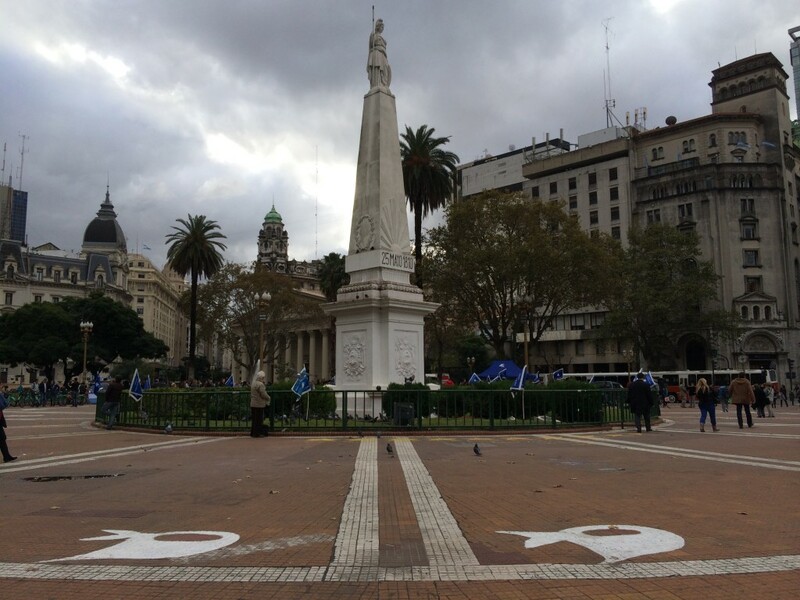 This past May, returning to the Plaza de Mayo in central Buenos Aires after several years, I see that few things have changed. 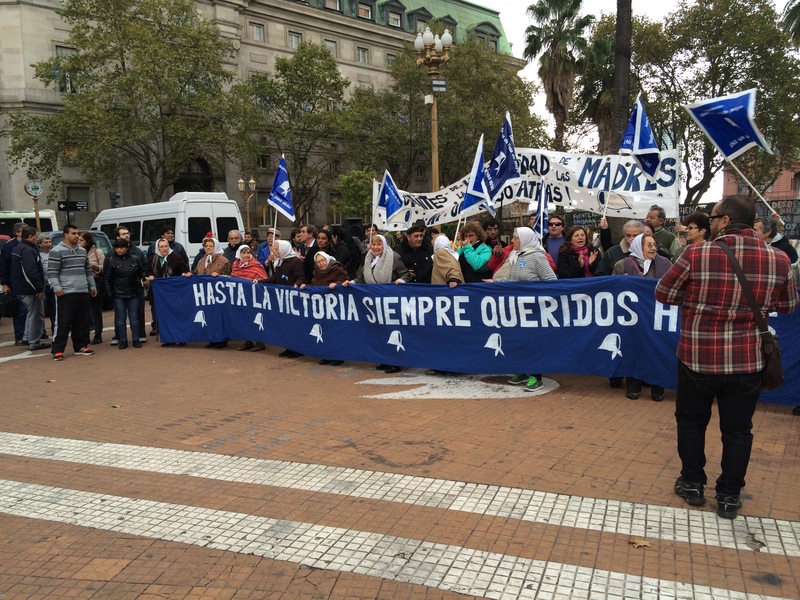 The “madres” and “abuelas”—mothers and grandmothers of those disappeared or murdered under Argentina’s military dictatorship (1976-1983)—still meet each Thursday afternoon in protest. The groups have splintered over the years, but by their presence they continue to honor the past as they circumnavigate the small square. Just off the square is the faded presidential mansion, the Casa Rosada (pink house), seemingly frozen in time and space, its appearance unchanged despite the passage of time and political transition. 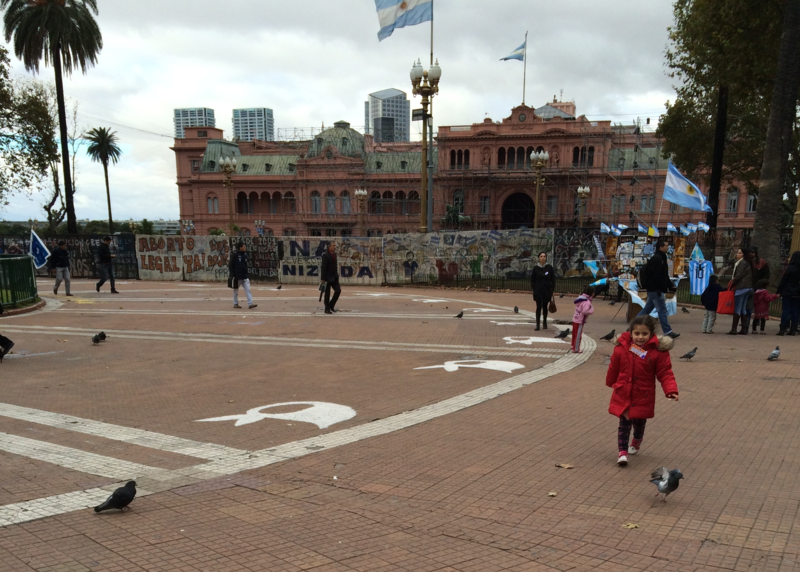 A young child runs across the square painted with the infamous kerchief symbols, political posters announce the current generation’s urgent issues, and the sometimes elegant and at other times rough city of Buenos Aires glows in the southern hemisphere’s rainy Autumn. Yet, it is these women in the plaza that still draw my attention. 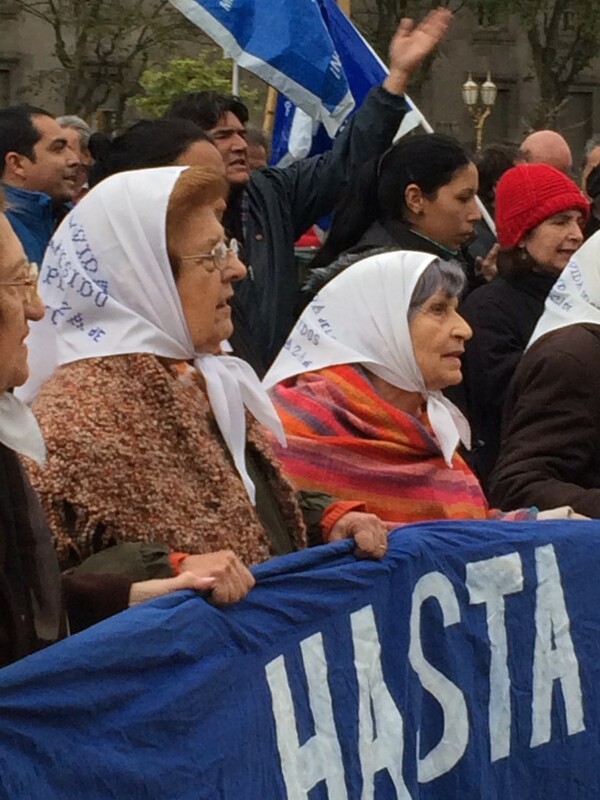 These madres and abuelas have become a tourist attraction with a reputation so strong that they have their own entry in the Lonely Planet guide to Argentina. Foreigners arrive to pay homage to the women who walk and to those who suffered under the military dictatorship that plagued this country with torture and disappearances. The resilient protests of the women force me once again to question what it means to “survive” an event, and what it means to remember. They urge me to consider how memory—the disappeared and tortured, the relentless destruction of human lives—resonates across the constellation of atrocities around the world. I thought of these women when, only last week, I was privileged to hear Argentine poet Alicia Partnoy read one of her poems that speaks to the survivor’s struggle not only in Argentina but also in so many other places touched by violence.